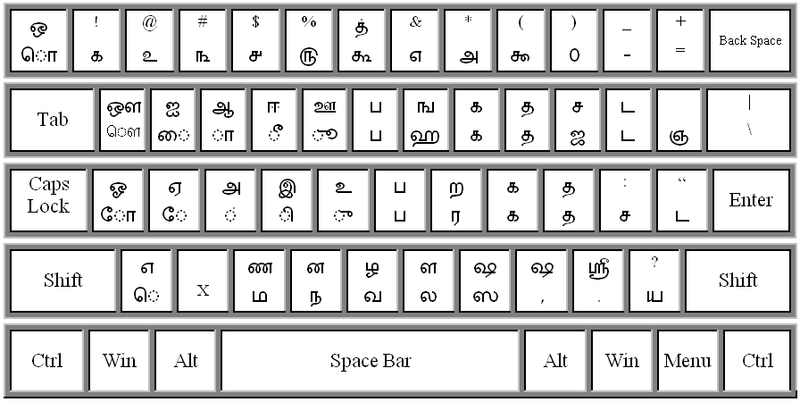 I have decided to prepare a useful Tamil Unicode keymap . 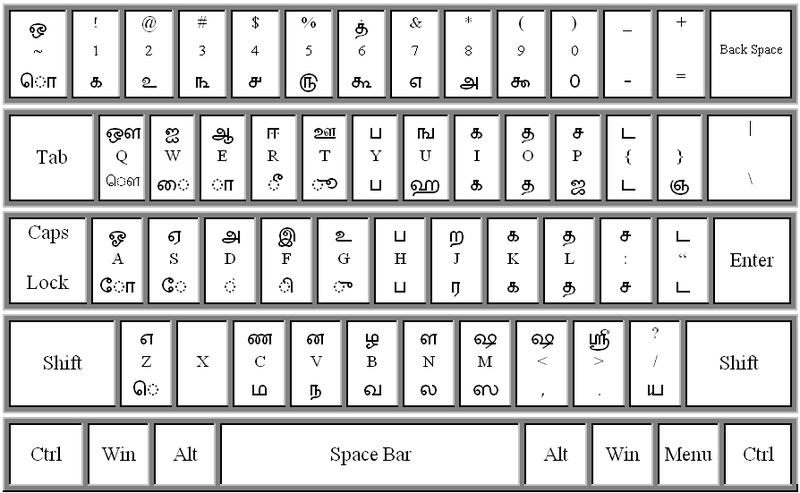 This keymap is based on Windows “Arial” Unicode and Tamil Unicode "Latha". 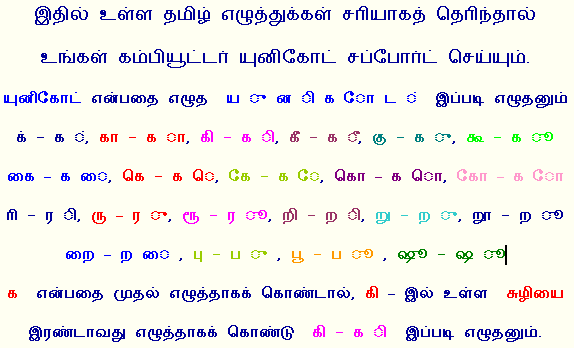 If the below .Tamil letters readable, OK, your system is supporting Unicode. Setting instruction is available in the bottom of this page. உங்கள் கம்பியூட்டர் யுனிகோட் சப்போர்ட் செய்யும். இரண்டாவது எழுத்தாகக் கொண்டு கி - க ி இப்படி எழுதனும். 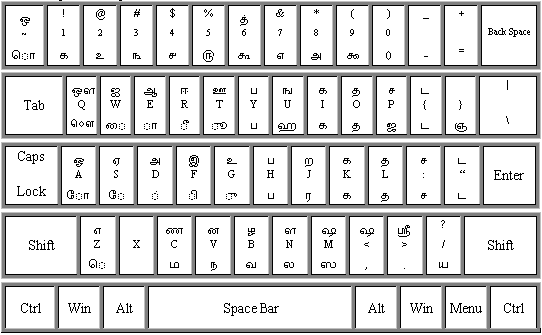 There is clear big Tamil keyboard map with English key and without English key for "Latha" Unicode. Also, the above page is availabe in Acrobat file. Pls click Right mouse, Save Target or click directly on the screen (you need Acrobat Reader above 4.0). The latest Adobe Reader 6.0 English for Windows, 8.7MB it will take 1 hour for an ordinary modem. First download the Font “latha.zip” file and unzip the file latha.ttf and save it to any folder. Click Start, Settings, Control Panel, double click Fonts, from File menu Install New Font… , select Font folder, select latha.ttf and click OK.
Click the Tools menu and select Internet Options, Click on the Fonts button, Language Script - pick User Defined, Web page font - set it to “Latha” and click OK.
Pls click to read my kavidai. Pls click for detailed setting instructions in PDF file - 508kb. If you need any more help or suggest about this page, please send mail to pakkir@yahoo.com also inform to your friends about this Tips.